We are a modern post-apocalyptic survival server looking for developers and builders. 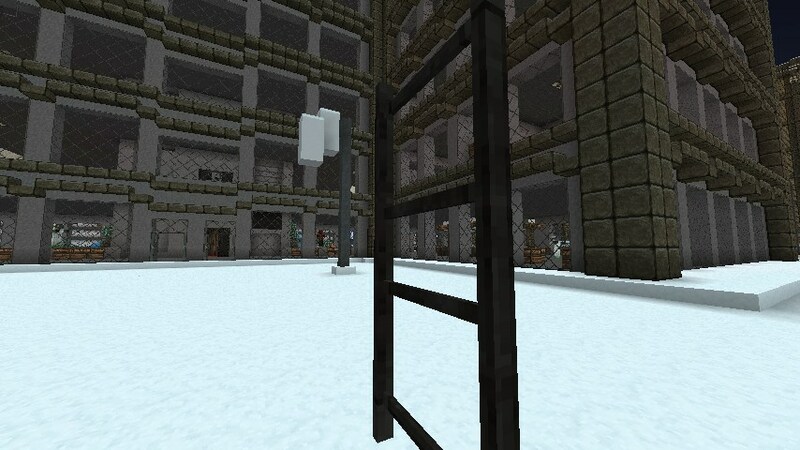 Our goal is to create a beautiful map and custom plugins to support an immersive, open world zombie apocalypse unlike any other Minecraft server. 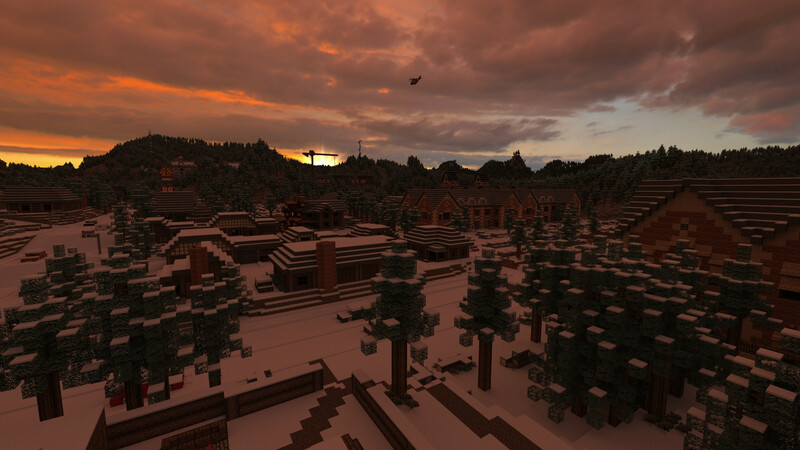 Our map is publicly available, we await exciting servers and game modes based on our map! 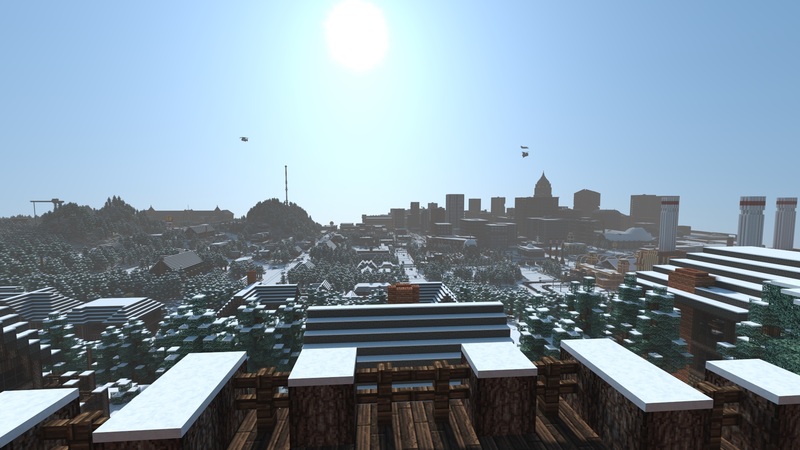 In addition, we have a survival server on a beautiful custom map with towns, plots, economy, and shops. The IP will be posted soon. Hey guys how's it going. So this week we had a pretty exciting event: my cousin who attends University of Washington (Seattle) is in a virtual worlds class and toured the Project Zombie map to his class of 40 people! I unfortunately do not have the audio from his presentation, but I did record the entire thing in 1080p. I'll upload that later tonight and post the video right here once it is uploaded. Following up on last week, we did get a few models created! And by we I mean CloudQuake; I've been quite busy with school lately so I unfortunately have not got much done on PZ this last week. As for gun models, we are still working the kinks out to have them display correctly when holding them. I have been thinking more about the party plugin and what that would entail. I wrote out a list of commands that I want to develop once spring break starts. Creates party and makes you party leader. Invites player to current party (party leader only). Promotes other players in your current party to leader status (party leader only). Removes player from your party (party leader only). Accepts the party invite and sets your current party to their team. Leave the current party you are in. Shows all online people and parties. Shows all parties sorted by greatest amount of players in a party. That's all I got for this week. As always we are looking for developers and builders! Send me a message if you're interested and we'll set a time to talk soon. See you next week! Further progression of building in the downtown area of the map. Welcome to The Weekly Changelog. This week I want to focus on programming a new plugin and look into possible models for PZ's gun selection. The new plugin I want to create will allow players to create and join survival parties. By storing these groups, I'll be able to later create a way for parties to have separate chat channels and store cool statistics like kill death ratio. Following up from last week's update, we have indeed updated to 1.8. 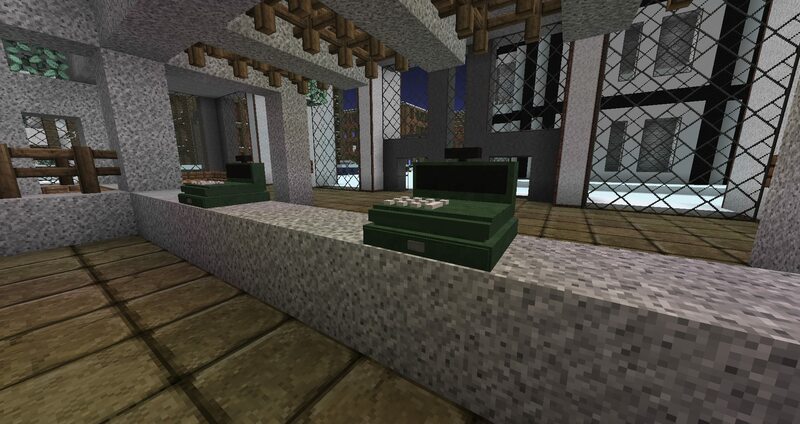 With Minecraft's new model features we want to look into replacing the guns' current skin textures and create models. I'm in the process of downloading Blender and giving 3d modeling a shot for the first time! 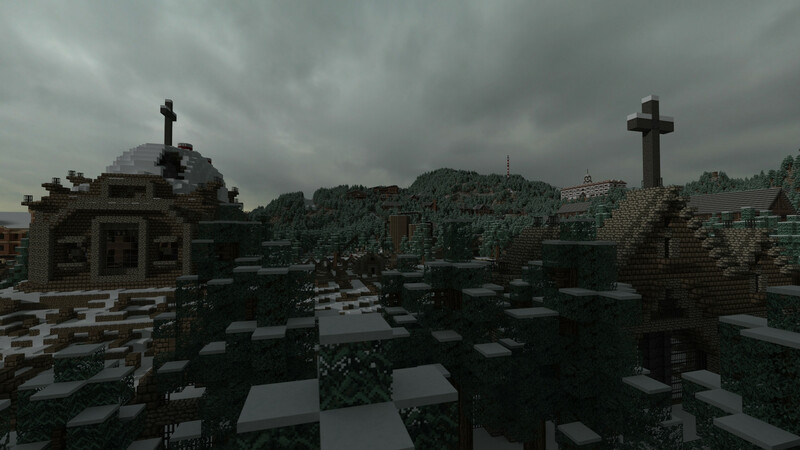 My idea is to import these awesome models created by kalasnikov88 and downsize them to Minecraft's size at 128 pixels. I'm hoping to eventually make my own models but for now, since so many guns are already based off Counter Strike, I'll work with these. We are also always looking for new developers and builders! Please send me a message if you're interested in building and we'll talk. See you guys next week! Mike429 whats up with it saying there 20 people on and its stell wightlisted?!? 02/22/15 - The First Weekly Post! Hey everybody, hope you're enjoying the website's new look! I first want to start by saying I want to get more involved in Project Zombie. I will start by making a very thoughtful post every Sunday night of Project Zombie's development info and a cool new render. AKA The Weekly Report. So first thing is first. We are updating to 1.8 and closing the server for a little bit. We are going to revamp the zombie spawning system and loot system. I will save details about those changes for next week's Sunday report. In case you are not aware, I have started creating custom plugins for Project Zombie. My first plugin allows windows to be shootable by CrackShot guns (our current gun plugin). My second one creates a scope when you zoom in with weapons that have zoom capability. As for map progress, FTS (now CloudQuake) has been doing an excellent job with the waterfront and surrounding urban areas. We are compensating for the new spawnpoints on the cruiseships. You can read last weeks post to get more details of the new spawning system. If you have any questions please drop a comment and I'll respond as soon as I can! Have a nice week everyone. NickJack Man, It's never felt so alive here. I'll be waiting patiently for a whitelist!. mando8679 are our characters gonna be reset with this? or will we still keep our current loot? Apsens This is much needed. Happily looking forward to the updates. Hey everyone, I wanted to give everyone a friendly reminder that I have not forgot about Project Zombie quite yet. I have been very busy with school and life which has limited my time to work on the server. Hats off to FTS for his hard work; many interiors have been finished in the city which means we can start expanding once again. We collaborated and came up with a few changes we want to make to Project Zombie. If anyone has any suggestions/critiques please feel free to comment. 1. Remove all existing hotel safezones and move them on cruise ships only. Mike429 is the server down atm? To participate in the alpha, simply reply with your Minecraft username in this post and I will white-list you when the alpha opens. I am aware that I have many kinds of donators. For testing purposes, there will be no ranks other than "Survivor" which is the rank of free players. Ranks will be updated once we enter Beta testing. EDIT 1: Update to the newest resource pack! Please re-download the resource pack here or by clicking the original link. EDIT 2: I'm going to update the ranks so it shows every user's rank, but it will not do anything for now. EDIT 3: If you think your rank is incorrect, please provide a receipt of your PayPal transaction when you donated and I will update it as soon as possible. Also, Enjin will be performing website maintenance on June 3rd so do not be alarmed if the website is down. John281 Can my friend IncredibleTepig be added to the whitelist?